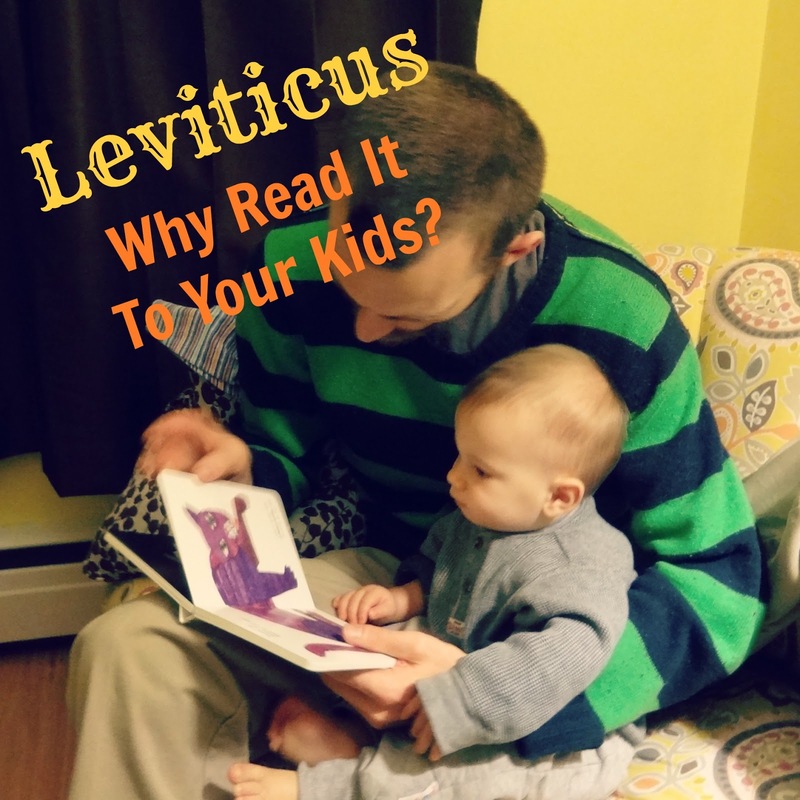 WHO CAN STAND: Why Read Leviticus To Your Children? God, in His eternal wisdom, included Leviticus in His Word and so we know it is important to read! But unlike some books - James, for example - the practical applications don't just jump off the page at first glance. Since we don't just want to TELL our children, but to SHOW them that all Scripture is God-breathed and useful (2 Tim 3:16), here are four reasons to read to them from the book of Leviticus. Although here we are reading Brown Bear, Brown Bear! To understand the importance of being a people set apart. To re-iterate the value of children as shown throughout the Scriptures. In Leviticus we see that "dying childless"(20:20,21) and being "bereaved of children" (26:22) are curses given both to specific individuals and also nations who turn from God. I am NOT saying that this is always, or even normally, the case for those who can't have children - but I do believe these verses demonstrate that God LOVES children and opening the womb is one way he blesses his people (Lev 26:9). Also, when a culture as a whole rejects children, they will reap negative consequences and in that they bring God's curses on themselves. To point to the need for a Savior in Jesus Christ. We often think of Leviticus as being all about the rules, but Leviticus 26:40-45 is a beautiful example of God's forgiveness and mercy towards those who repent of their sins and humble themselves before Him, which is shown to us in full in the death and resurrection of Jesus Christ. I really like your perspective on reading through Leviticus! I think we sometimes set ourselves up for failure with that book by going into it thinking that it will be tedious, uninteresting, etc. If we can go into it with a positive perspective and share that with our children, I think the whole family with benefit! Thanks for your kind words! Heading over to check out what interesting things you have to say now!